I wish I could say that it is not often my pastor can throw one at me that catches me fully off-guard, but that would be basking in what I’ve not to offer. It would be sufficient to linger on the term, ‘always,’ yet the Apostle has linked his ongoing prayer life to something specific. To what end? What is Paul declaring that from a certain end he is always praying for these people (Some of your translations may render the words ‘to this end,’ ‘therefore’)? Well, I could muster you something up from the contents of my usual prayer life, like, “I am (always) praying that God will bless you, and heal you, and meet your physical needs,” but this is radically different from what Paul is praying for these people. Paul’s ceaseless prayer life here is spent thanking God for the work He is doing in the lives of these fellow believers. It is through what and how this work is taking place though that has escaped much of my personal interceding to present. This is not of course to insinuate that there is something wrong with our praying for healing, or that needs are met, but to recognize that prayers like the ones I’ve spent my life offering are really an inferior surface-level means of intervening Jesus’ desire for your and my life. He wants so much more for all of us than the mere things this world has to offer. Without excessive elaboration (and of course ensuring we note it is God’s work, not ours… we’ll not be being worthy by our own efforts), I’m sure you can re-quote many of our responses, “Sin has been defeated,” “We have been changed, a new creation in Christ,” “We have been redeemed, rescued, and restored,” and “We are the children of God” lends something to the effect. Paul’s prayers are centrally focused on believers living with a primary intent, that the lives we live will resemble the reality we have in Christ. I am persuaded to hope my future prayers look a whole lot different than they have in the past. I will continue to pray for healing and blessings (why would I not? ), but these will be accommodated with more significant requests of my Father, “That each of you will grow in faith, your love for one another, and that, through every trial and persecution you endure, its end result will reveal your ability to persevere in the strength and power of Jesus Christ, so that his name will be elevated above every name on earth as it is in heaven. 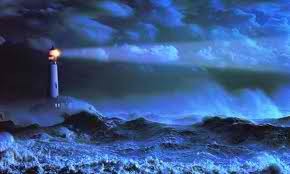 This entry was posted in Lighthouse Notes and tagged blogging, Christianity, faith, giving thanks, gospel, inspiration, prayer, Religion and Spirituality. Bookmark the permalink. I love this. I have been feeling that so many of my prayers are focused on this temporary world rather than on the eternal realities I should be focusing on. Your post is confirmation of a new direction. Thanks Pastor J. This series is part of our evening services which is focused primarily on prayer. We come together to pray for one another, our local school (children, staff, and parents), community, and our friends serving near the end of the earth. We are learning though to engage in a deeper level than merely physical needs, to pray for “eternal realities” as you say. That is awesome and much needed!